Dominican Liturgy Publications is pleased to announce the republication of the Martyrologium Sacri Ordinis Fratrum Praedicatorum. 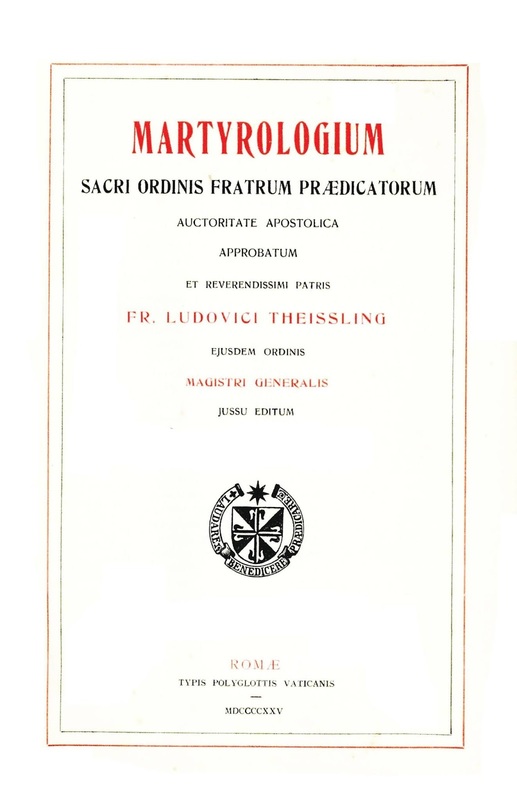 This volume is a scanned reprint of the most recent (1925) edition of the Dominican Rite Martyrology. Although the price may seem high to some, this book has rubrics in red, a handsome hardback cover, and is 600 pages long. The volume also includes all that is needed for celebration of the Office of Pretiosa. 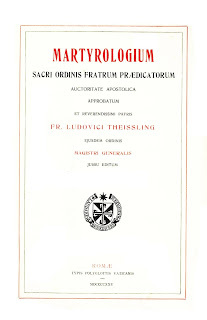 In addition, this reprinting includes in an Appendix the reformed Dominican Rite Calendar (1960), instructions for which feasts are transferred or added according to that reform, and new texts (mostly from the Martyrologium Romanum) for all Dominican Saints and Blesseds canonized or beatified from 1925 to 2019. Those purchasing this book should check the "preview" to see if the quality of the scanned text is suitable for their needs. Those interested may read about it here.